Students identify the four cultures of Native Americans in Texas: Gulf, Southeastern, Plains, and Pueblo. Then small groups research and write a report about a specific tribe. 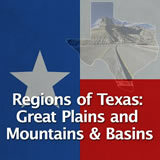 Finally, students analyze how tribes in a given region adapted to that region's environment. In this experience, students identify the four cultures of Native Americans in Texas: Gulf, Southeastern, Plains, and Pueblo. Then small groups research and write a report about a specific tribe. 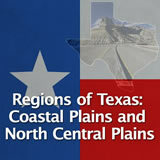 Finally, students analyze how tribes in a given region adapted to that region’s environment. 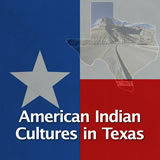 Explain how different American Indian cultural groups lived in different regions of Texas. 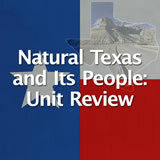 Analyze how native peoples adapted to the Texas environment. 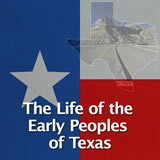 Before the age of contact with Europeans, Texas was home to many tribes of Native Americans. The tribes in Texas can be divided into four major cultures, defined by region: the Gulf, Southeastern, Pueblo, and Plains. The tribes in each culture adapted their lives according to the climate in that specific region. They developed their own languages, skills, traditions, and attitudes toward people who were not in their groups. In this experience, you will learn about the different tribes in each culture and how they adapted to the regional environment. The following text is a brief account of the Caddo creation story. A very long time ago, men and animals were brothers and they lived together underground. Their leader, Neesh (Moon), discovered the entrance to a cave leading up to Earth’s surface. Neesh told everyone they should follow him to the new land. The people divided up into groups, each with a leader and a drum. The people sang and beat their drums as they walked along, and Neesh warned them never to look back the way they had come. Soon they reached the opening at Earth’s surface. First an old man climbed out, carrying fire and a pipe in one hand and a drum in the other. Next came his wife, bringing corn and pumpkin seeds. They were followed by many more people and animals. When Wolf climbed out, he turned around and looked back, even though Neesh had warned them not to. The opening snapped shut, trapping the rest of the people and animals underground, where they remain until today. Those who moved into the world of light sat down and cried for their friends left below in the world of darkness. Because their ancestors came out of the ground, the Caddos call the Middle World ina’—Mother—and return to it when they die. Based on this creation story, what can you predict about the Caddo tribe? Students should be able to infer that the Caddo tribe depended on agriculture as their main food source. Supporting details include the seeds that they brought from underground, and that some of them still remain underground. The student pack includes a more detailed version of the Caddo creation myth.